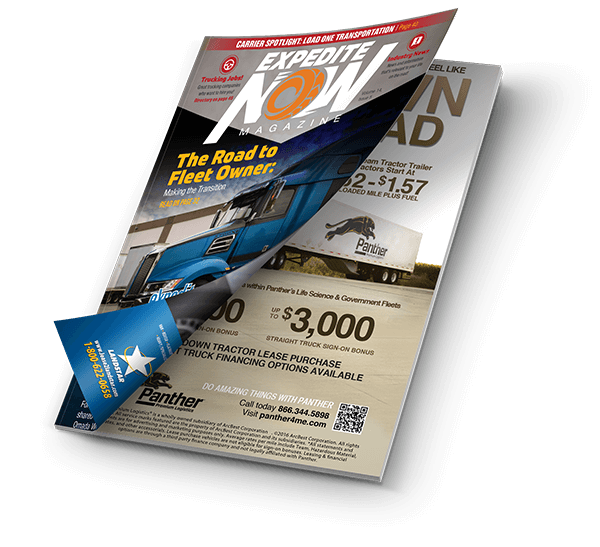 How and when did you get into the Expedite Trucking industry? I started June 2013 in a Freightliner M2 Straight Truck, with a fleet owner. Coming out of a tractor was a big change, I always loved driving, but this industry is not all about driving. You currently drive for Premium Transportation Logistics. How has you experience been with them? It has been the best experience that I have had with such an amazing management and operations team. I have seen so much positive growth within PTL since bringing my small fleet over last year, I knew it was not only a positive move, but it was a long term commitment for me and my team. What does being nominated for Expediter of the Year mean to you? Just being nominated meant a lot to me, but making the top three… that’s an accomplishment based on faith, hope and charity. Not only as a driver or a fleet owner it’s about how my actions reflect on the industry as a whole. Being a professional driver does not stop at my CDL, it’s about my representation of Premium Transportation Logistics, Fudpucker Expedited LLC and those carriers we do business with. If there is one piece of advice you can give to others in your industry, what would it be? Stay positive. The rewards outweigh any of the negative that may arise. Being a fleet owner, owner operator or a contract driver is your lifestyle; as a business owner, keep reaching for Excellence. I would just like give everyone a big hug and say thank you for the opportunity given to me this year to grow professionally and personally. A big thank you to my bestie and partner Christine Wagner for her understanding and support, and to both Premium Transportation Logistics and Expediter Services for having an amazing support team. 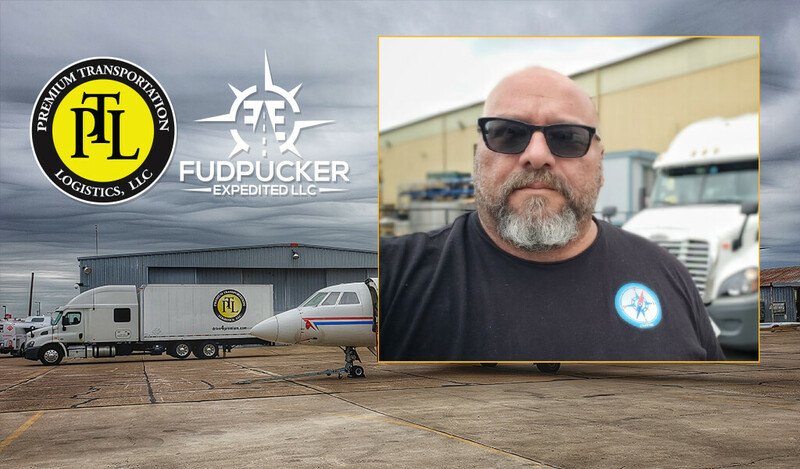 Thanks also goes to the Fudpucker Expedited Drivers and those fleet owners and drivers that I continue to mentor and help grow on a daily basis. Thank you. For our new readers, how did you get into the industry and what is your role at PTL? I got into the industry over 20 years ago. Mike Welch, Founder and President of Express-1, asked me to come to work for him. He said “I am not sure what you will do exactly, but we will figure it out.” I like to think he was taking the “best athlete available” strategy when hiring me! I learned pretty quickly and eventually became President, which is my role at PTL today. What is new with PTL in this first half of 2018? We’ve got some new employees that are making a difference and having a positive impact on our business. We have redesigned our operations center, and the decals on our ICs trucks. We continue to work hard on our image and reputation with our customers and other carriers. Can you tell us a bit about your experience working with Eric Escobar? In all my years of working in expedited transportation, I can say without hesitation that Eric is a rare and positive breed. As we often say, “He gets it”. Eric is relentlessly positive and is an absolute professional. Without a doubt, his 25 years in the military have molded him into a very special leader. No one in our dispatch wants to let Eric down. He has earned such great respect due to his understanding that we are in a marathon, not a sprint. And, Eric knows how to enjoy the journey and the great positives his small business creates for him and his team. What is something about Escobar that you believe has set him apart as a Finalist for Expediter of the Year? Eric is a LEADER and not only interested in his well-being, but the well-being of his contract drivers, PTL, and the expedite community as a whole. I will say it again, Eric is a LEADER. He commands a group through his positive actions on their behalf. He commands this from others just like he did for our country for 25 years in serving our country. If there’s one piece of advice you can provide to drivers out there, what would it be?